The name says it all: True Gain® Antennas. The true gain of each antenna is what is listed on the specification sheet, not just some projection, estimation, or illusion. With True Gain Antennas, you get ...All the Signal. 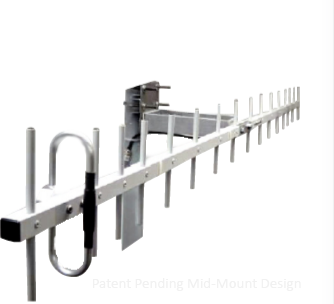 Unlike most competitive products, True Gain Antennas are extensively tested at our own far-field antenna range and RF labs. Computer simulations and other industry shortcuts are not good enough for us, or our customers. * ADD 0.2 - 0.3 dBi Gain to the True Gain Antennas to account for coax loss. TG-Y915-1x antennas were the only tested models with coax pigtails. Thus, only TG antennas gain measures included normal cable losses.